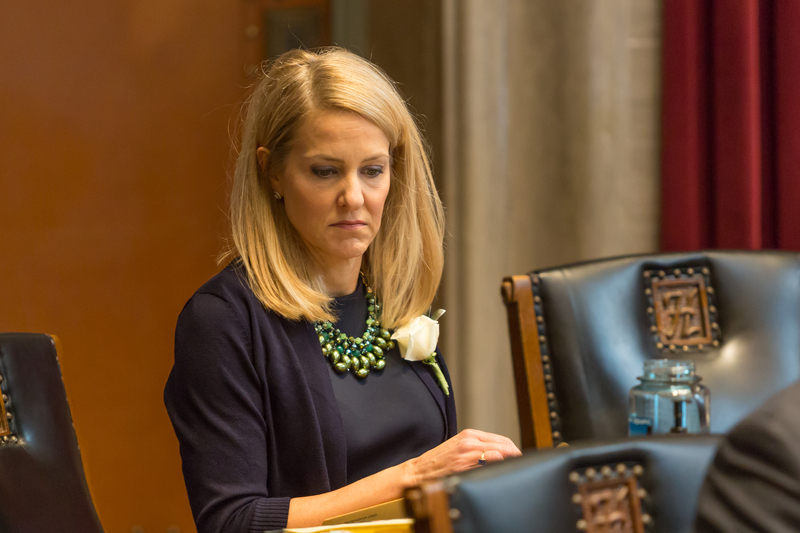 Representative Tracy McCreery (D) [2019 file photo]. This bill requires courts that issue a full order of protection after a hearing to prohibit any respondent from possessing or purchasing firearms while the order is in effect, inform the respondent of the order either orally or in writing, and forward the order to the State Highway Patrol for enforcement as specified in the bill. The bill also requires notification of the State Highway Patrol so that the National Instant Criminal Background Check system can be updated and the FBI notified when there is a conviction of stalking in the second degree. Unlawful possession of a firearm will include misdemeanor offenses of domestic violence under the law of any state or the United States and violations of the court order specified in the bill. The bill has an emergency clause. It makes complete sense. It will never again see the light of day in the right wingnut controlled Missouri General Assembly.